Jaleel Gopaul's season came to an end on Saturday at the Region 5 Tournament. The loss also brings an end to the senior's high school career in which he finishes with 86 career wins, and three District medals. With only a couple seniors, Jaleel Gopaul and Maddalena Fresnedo, in the room, the Red Raiders will have a very young lineup. The big name in the lineup is Gopaul. Gopaul was a 3-year starter at Matawan, compiling 61 wins and placing twice at Districts. Two starters return from last year's team in junior Michael McCahon, a 13-match winner, and sophomore Devon Meza. 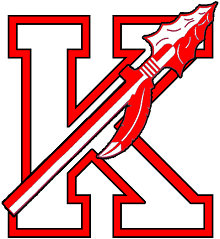 Meza is worth keeping an eye on, as the young heavyweight will get to work with assistant coach Greg Velasco, Keyport's all-time wins leader, who placed 3rd in the State in 2011. The rest of the lineup is very young and will be working hard to improve with each match, while the Raiders to surprise some teams and top their win total from 2017.